Figures presented at last week's 'Consumers, Content and Change Across the Video Category' event, hosted in London by the British Video Association (BVA) and supported by Entertainment Retailers Association (ERA) and Digital Entertainment Group Europe (DEG Europe), indicate that while the UK digital home entertainment market is at crucial mass market tipping point, physical product continues to hold its own and show resilience in the rapidly evolving UK video market place. One in two of the UK population is familiar with downloading digital content and 55% of those that purchase digital content consider themselves converts to the format. Conversely, the BVA forecasts a swing of 10% in favour of new film releases on DVD and Blu-ray, suggesting sales within this element of the category are on track to grow by 2% across 2015 (2014 -8% vs 2015 +2%), bucking the trend of recent years. 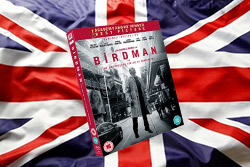 Robert Price, Managing Director of Twentieth Century Fox Home Entertainment and Chair of the BVA said, "Since the Official Chart Company started tracking video in 1994, there have been 3.3 billion videos, DVDs and Blu-ray discs sold. If laid end-to-end they would reach half a million miles, the distance to the moon and back! The value of video sales today equates to £4m on physical and £2m on digital each day, illustrating that although physical ownership is still dominant, digital is an important driver of growth." Kim Bayley, CEO at ERA added, "Video is the backbone of the entertainment business, accounting for 40% of total sales and nearly half of the market for physical product. Key to its success has been the collaborative approach of retailers and video distributors and a joint commitment to deliver the video content consumers want in the way that they want, both points typified by today's event." Source: British Video Association, The Nursery Research & Planning, IHS Kantar Worldpanel, Official Chart Company, West 10 Entertainment.